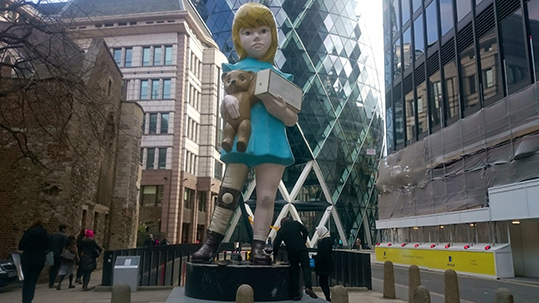 Sculpture in the City enhances London's urban landscape with cutting-edge contemporary art. Set in and around the Square Mile's busy pavements and quieter spaces, the fifth iteration of the year-long public art exhibition brings together exciting works by emerging and established artists. Sculpture in the City, London from ArtworldNow on Vimeo.